The Arizona Cardinals remain the central storyline for the 2019 NFL Draft, with no one willing to give an inch about their plans at the quarterback position. Just when there’s starting to be buzz about Arizona sticking with Josh Rosen, they decide to bring Kyler Murray in for a visit and have his agent come with him, causing many people to wonder if there might be some kind of contract negotiation going on between the two parties. Cards coach Kliff Kingsbury continued to throw people off the Murray scent, noting that Rosen is actually a great fit for his system and a better athlete when he ever was. Do we believe him? To break it down, Brady Quinn joined me on the Pick Six Podcast to talk about how Rosen would work in Kingsbury’s Air Raid attack. And Quinn actually believes that Rosen might be a better fit for what Kingsbury likes to run than Murray. “I think what people fail to realize is, what was Kliff Kingsbury? He was a dropback quarterback. And he played within the system,” Quinn pointed out. “So was Graham Harrell. So was essentially every other quarterback who played in the system, including Gardner Minshew who played in the system up in Washington State this year. Brady believes either Murray or Rosen can be good given the setup, but that Rosen might be “a little bit safer” than his younger counterpart. 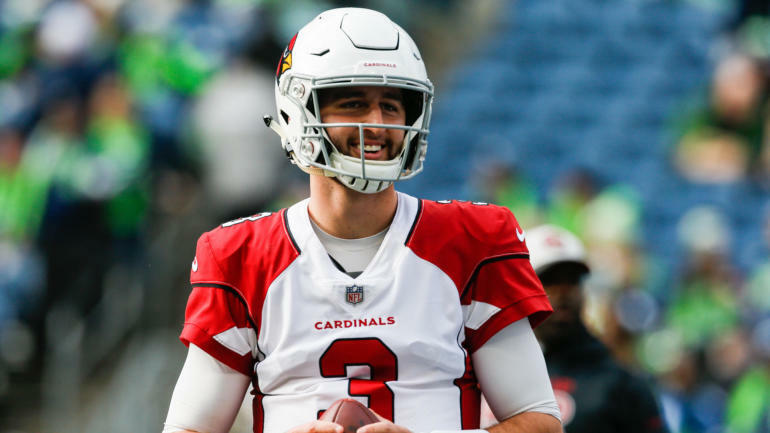 This is the fascinating choice the Cardinals are facing — do they believe they have enough in Rosen to keep pressing with their second-year quarterback in Kingsbury’s system? If they do, it would make all the sense in the world to draft Nick Bosa or Quinnen Williams with the first overall pick, improve the defense and try to build around their 2018 first-round pick. Ultimately it comes down to who is the best fit with Kingsbury’s system and who provides them the most value. If they believe it’s Rosen, as Quinn does, they should pass on Murray and try to land a blue-chip player at another position.